After a hard touchdown on runway 07 the left maingear collapsed causing the left wing and propeller to strike the runway. The aircraft began to veer to the left until the pilots maaged to stop on the hard left runway shoulder half a meter from soft ground. 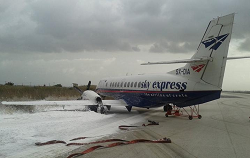 All passengers and crewmembers on board remained unhurt in the event. 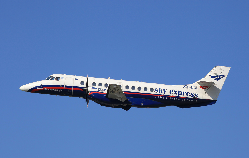 Damage to the aircraft is being considered as significant. 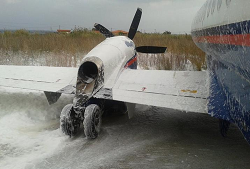 According to eyewittness accounts the aircraft was caught by a strong gust immediately before landing. 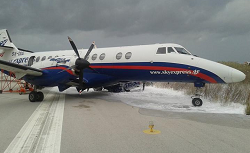 At the time of the approach, strong winds from the southest with velocities beyond 40 knots prevailed at Diagoras Airport. 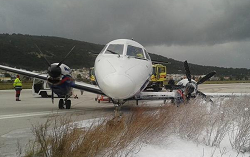 Rhodos Diagoras Airport was closed for traffic until 1600L. 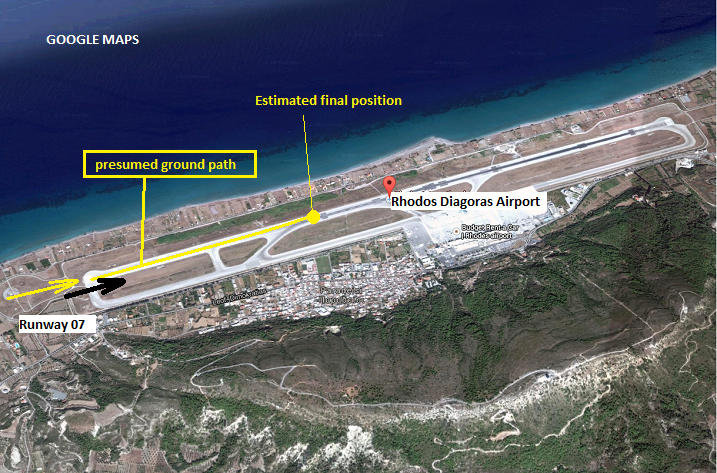 Diagoras runway 07 is known to be notorious for windshears when windspeeds are above 15 knots.